We’d love your help. Let us know what’s wrong with this preview of The Last Collection by Jeanne Mackin. An American woman becomes entangled in the intense rivalry between iconic fashion designers Coco Chanel and Elsa Schiaparelli in this vivid novel from the acclaimed author of The Beautiful American. Paris, 1938. 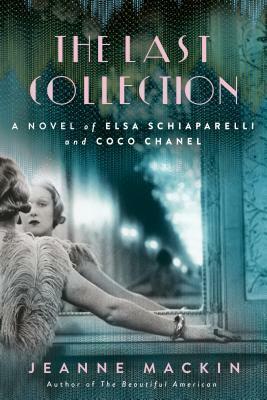 Coco Chanel and Elsa Schiaparelli ("Schiap") are fighting for recognition as the most successful and influential fashion designer in France, and their rivalry is al An American woman becomes entangled in the intense rivalry between iconic fashion designers Coco Chanel and Elsa Schiaparelli in this vivid novel from the acclaimed author of The Beautiful American. Paris, 1938. Coco Chanel and Elsa Schiaparelli ("Schiap") are fighting for recognition as the most successful and influential fashion designer in France, and their rivalry is already legendary. They oppose each other at every turn, in both their politics and their designs: Chanel's are classic, elegant, and practical; Schiaparelli's bold, experimental, and surreal. Lily Cooper, a recently widowed American teacher, travels to Paris to visit her brother, Charlie, and try to move on from the loss of her husband. On her first day there, Charlie insists on buying her a couture dress for her birthday--a Chanel. Lily reluctantly agrees but wants a Schiaparelli, not a Chanel. Charlie's girlfriend, Ania, one of the most beautiful and prominent women in Paris, begins wearing Schiap's designs as well, and soon much of Paris is following in her footsteps. An American woman becomes entangled in the intense rivalry between iconic fashion designers Coco Chanel and Elsa Schiaparelli in this captivating nove An American woman becomes entangled in the intense rivalry between iconic fashion designers Coco Chanel and Elsa Schiaparelli in this captivating novel from the acclaimed author of The Beautiful American. To ask other readers questions about The Last Collection, please sign up. Fascinating look at two fashion icons as different as the clothes they designed. Review coming soon! The Last Collection chronicles the careers and rivalry between Coco Chanel and Else Schiaparelli beginning in Paris at the start of World War 2. Polar opposites in almost every way, the two women find themselves pitted against each other in their competition to rule the French fashion industry during the glamorous 1930s and 1940s. Chanel favored a more tailored and elegant look while Schiap (as she was known to many) chose to make statements with her designs and often experimented with avant-garde and daring looks. Mackin creates a fictional character, American Lily Sutter, to tell the story of the two fashion designers which works effectively. Lily works for Schiap in Paris, but also has a connection to Chanel through her brother and his married girlfriend so she is able to provide fabulous tales and insights about both of the women and the fashion industry itself. In the background of the designers’ stories is the Nazi threat and Germany’s eventual occupation of Paris. The Last Collection is an in-depth tale of a glamorous, dangerous, and fascinating time period in Paris, and Mackin’s attention to detail and lyrical prose bring Chanel and Schiap to life in a gorgeous and riveting manner. 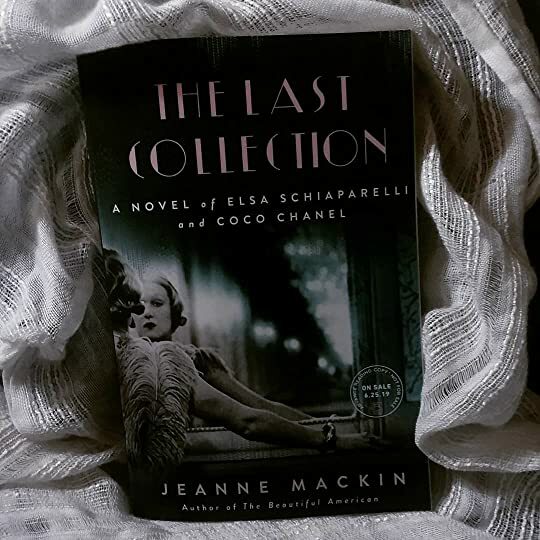 Before I get too far ahead of myself, I want to note that I tackled Jeanne Mackin’s The Last Collection: A Novel of Elsa Schiaparelli and Coco Chanel as a buddy read with one of my favorite fellow book bloggers. 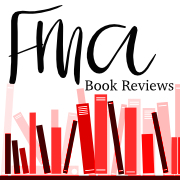 Magdalena reviews books at A Bookaholic Swede and if you haven’t done so already, I really recommend checking her site out. She’s a prolific reader and has a great catalog of honest reviews spanning a variety of genres. Having said that, I have to say I’m at odds with this book. I loved much of what Mackin chose to incorporate, but I often felt the various elements of the story existed in competition with rather than in compliment of one another. The rivalry between Coco Chanel and Elsa Schiaparelli was wonderfully drawn and I was impressed with how intriguing it proved despite my decidedly limited understanding of high fashion. Long story short, it would be a mistake to classify this novel as a niche interest fiction especially when one considers the enormity of the politics that grow to characterize and influence this formidable competition. Lily provided a wonder emotional note to the narrative, but I didn’t think her role as intrinsic as other readers. Her arc is compelling and allowed Mackin to explore lovely parallels between fine art and fashion design, but it felt tagged onto something that didn’t need her at its center. WOW! Simply stunning! I would have never picked this book up on my own and am deeply grateful to Chanel Cleeton and Berkley Publishing. If I had not won your Instagram contest, I would never have known what I was missing! This story brings to life the fascinating lives of Coco Chanel and Elsa Schiaparelli. It begins in the late 1930s at the beginning of Hitler's reign and spans through the world's deadliest conflict, the second World War, and ends in 1954. Jeanne Mackin brilliantly portrays the WOW! Simply stunning! I would have never picked this book up on my own and am deeply grateful to Chanel Cleeton and Berkley Publishing. If I had not won your Instagram contest, I would never have known what I was missing! This story brings to life the fascinating lives of Coco Chanel and Elsa Schiaparelli. It begins in the late 1930s at the beginning of Hitler's reign and spans through the world's deadliest conflict, the second World War, and ends in 1954. Jeanne Mackin brilliantly portrays the effects the war had on the fashion world and her characters. Lilly Sutter's brother, Charlie is in France and madly in love with a married woman. Needing someone to accompany him and Ania on their dates, he telegrams Lilly and asks her to come to Paris. Even though he can't afford it, he insists on buying her a Chanel gown for the event they are all going to. But Lilly prefers Schiaparelli to Chanel and when Ania discovers Schiap's fashions, she switches her loyalties from Chanel to Schiaparelli. Suddenly, Lilly finds herself splitting friendships between Coco and Schiaparelli, two of Paris's most revered fashion designers and fierce rivals. One of the things I first noticed when I started this book was the beautiful writing of Jeanne Mackin. Her voice is like nothing I've ever read. Her characters are beautiful and real. She captured Paris with stunning descriptions that made me feel like I was standing on the same streets her characters stood or stared at the same paintings her characters enjoyed. I grew up with my mother loving fashion. As a single parent of two girls, she wasn't able to afford Chanel, but we had plenty of fashion magazines laying around the house. I poured through those magazines and dreamed of one day wearing those designs. Reading this book was like reminiscing my childhood, it brought to life the designers and fashion I used to daydream about. My reading choices are romance with a bit of self-help thrown in. But sometimes you just need to go out on a limb and jump! That's what I did, and I cannot tell you how happy I am that the cover, description and subject matter intrigued me enough to take the chance. To my romance-loving friends, I beg of you to give this a shot. THE LAST COLLECTION is a riveting portrayal of love, rivalry, loyalty, and passion. I had no point of reference for this book and was a bit worried when I started that it would be difficult to read. I need not have worried, it is so well-researched and so well-written that I became immersed in the characters of this story. Elsa Schiaparelli and Coco Chanel were THE coutre fashion designers of the 30's. They were opposite in almost every way and became sworn enemies. Into the drama between these two powerhouse women came Lily Sutter. Lilly was called to Paris by her charming brother Charlie who she hadn't seen in a few years. She needed a place to heal the grief she suffered from her husband's death and Charlie needed her there to be a buffer between his girlfriend's husband and him. As Lilly becomes immersed in the fashion house of Schiaparelli, the drums of war beat ever closer, ever harder. Because of the connections Lilly made through the fashion houses, she is able to escape Paris before it falls to the Germans. THE LAST COLLECTION brings to center stage the fascinating life of Elsa Schiaparelli in a story that is as elegantly constructed as the clothes she designed. The combination of Schiap’s fierce rivalry with Coco Chanel and the inevitable war makes for a palpable tension and Jeanne Mackin ultimately delivers an ending that is beautiful, heartbreaking, and perfect in every way. Not just a story about the fashion couture woman of Paris, Edna Schiaparelli, Coco Chanel in the 1940s. But that of Lily Cooper finding her new way in the world. She also consciously, and unknowingly, helps those around her as well during her unexpected life in France, and NY. The emotional adventure feels as familiar to many of our own exhilarations today ~ all accented with rich illustrated, WWII, and fashion rivalries. Chanel is all pearls and clean lines; Schiaparelli is bold color and invention. And then there’s Lily, a nuanced and sympathetic protagonist whose fate becomes entwined with the feuding designers as she begins to make designs of her own. Soon, Lily finds herself on a journey of self-discovery she never expected—a call to find her own courage. By turns fascinating and tense, THE LAST COLLECTION is a colorful and evocative novel about the price of loyalty. Coco Chanel is a name most people recognize even if they don’t give a hoot about fashion. Elsa Schiaparelli is not a name most people would recognize unless they really knew the history of couture fashion. I had no clue who Elsa Schiaparelli was until I read The Last Collection by Jeanne Mackin. Suddenly, I found myself Googling anything I could find on Elsa. What I found was that Elsa’s legacy to fashion was great and that little has been written about her while you can read volumes about the famous Coco. The Last Collection is fiction with a bit of truth here and there told by the fictional Lily Sutter who, by a stroke of luck and a handsome brother, became friends with both Coco and Elsa. Taking place in Paris and the United States before, during, and after WWII, this book gives you a good idea about the fierce rivalry that existed between these two strong and powerful women. I enjoyed The Last Collection because it introduced me to an important woman of fashion that I otherwise would never have heard of. And while this book is good, the main character, Lily was not my favorite. There was really something dull and flat about her character. Maybe it is because Coco and Elsa were so vivid and colorful that Lily just seemed blah to me. Maybe that was the point. Because this is really Lilly’s story to tell. A young artist and widow, Lily Sutter, finds herself in the center of a great rivalry between designers Coco Chanel and Elsa Schiaparelli in Paris, France in 1938. As she befriends both women, she learns more about them and their past as war looms around them. I absolutely loved this book. The feud between Coco Chanel and Elsa Schiaparelli is described to perfection while Lily sits on the sidelines, being a neutral bystander. Amidst their rivalry, the threat of World War II brings tension to the A young artist and widow, Lily Sutter, finds herself in the center of a great rivalry between designers Coco Chanel and Elsa Schiaparelli in Paris, France in 1938. As she befriends both women, she learns more about them and their past as war looms around them. I absolutely loved this book. The feud between Coco Chanel and Elsa Schiaparelli is described to perfection while Lily sits on the sidelines, being a neutral bystander. Amidst their rivalry, the threat of World War II brings tension to the story. This beautifully written story is difficult to put down and yet you do not want it to end. I highly recommend to anyone who loves historical fiction. Is there such a thing as literary fanfiction? There may be now! In The Last Collection, readers get to meet and become friends with two fashion icons, Coco Chanel and Elsa Schiaparelli. The protagonist of this evocative story is Lily and she tells us the events of the Paris of 1938 to 1939 in the first person which gives us a feeling of immediacy and connection with all of the characters in the book, real and fictional. As the author tells us in her interesting and informative notes at the end o Is there such a thing as literary fanfiction? There may be now! In The Last Collection, readers get to meet and become friends with two fashion icons, Coco Chanel and Elsa Schiaparelli. The protagonist of this evocative story is Lily and she tells us the events of the Paris of 1938 to 1939 in the first person which gives us a feeling of immediacy and connection with all of the characters in the book, real and fictional. “The 1930’s was a golden age of couture and it was dominated by one city: Paris, and the city was dominated by two women: Chanel and Schiaparelli. Into a world of fabulous soirées, over-the-top costume balls, and quiet moments at the bar at the Ritz comes Lily, an American teaching art in England. She has received a cryptic telegram from her brother, requesting her to meet him at 2 pm at a café in Paris. She goes and her quiet, sad life changes just as quickly as the mannequins change outfits at the couture houses. From the title of the book, to the foreshadowing in the story, we know that the Paris of 1938-1939 will not last long. Even as the characters clutch at the beauty and joy of Paris, they are also scheming- can the Nazi Von Dincklage (a real person) save Coco Chanel or his other lover who is a beautiful Jewish women? Can Schiaparelli save her daughter? And what of Lily’s own love affair? Lily’s friendship with both designers grows and so does her ability to handle life. The detail and writing in this book is exquisite. From a study of the primary colors, to the operation of the designing world, to how the museums of Paris saved their artwork, the book is absorbing and moving. Did you know that ‘copy houses’ hired ‘sketchers’ to act as spies during fashion shows? They had to be able observe, memorize and then draw the new fashions certain to sell well, when no one was looking. A good sketcher could earn as much as 400 francs from a single two-hour showing of a collection. Fascinating. The author gives us just as much insight into the creative vision and design abilities of Chanel and Schiaparelli. I would have loved to have seen photos or drawing of their creations. Imagine-a shoe hat! This book benefits from the literary style of writing and from the powerful depictions of the main characters. My only slight disappointment was that the book ended so suddenly. Highly recommend. Paris, 1938. Coco Chanel and Elsa Schiaparelli ("Schiap") are fighting for recognition as the I received a DIGITAL Advance Reader Copy of this book from #NetGalley in exchange for an honest review. Knowing that the war was looming adds an extra layer to the readers' enjoyment of this book: we know what was coming and how horrible it was. I didn't know of the war between the two women and face it, women fight dirtily on a whole other level than men do! I received The Last Collection as part of a Goodreads giveaway. With international tensions rising, young widow Lily travels to Paris at the behest of her beloved brother, where she is introduced to the world of high fashion, specifically the rivalry between Elsa Schiaparelli and Coco Chanel. She finds an affinity for "Schiap's" outlandish, boundary-pushing clothing and warm nature, and soon begins working as the designer's studio painting backdrops and later acts as a companion to Schiap's young I received The Last Collection as part of a Goodreads giveaway. With international tensions rising, young widow Lily travels to Paris at the behest of her beloved brother, where she is introduced to the world of high fashion, specifically the rivalry between Elsa Schiaparelli and Coco Chanel. She finds an affinity for "Schiap's" outlandish, boundary-pushing clothing and warm nature, and soon begins working as the designer's studio painting backdrops and later acts as a companion to Schiap's young daughter. Colder, stricter, with utilitarian fashion styles and questionable political allegiances, Chanel is another source of fascination for Lily, and they two develop a relationship of sorts. But as Europe and then the United States move closer to war, Lily, both designers, and those around them will be plunged into tragedy and chaos. I won this from Goodreads give away. I love a good historical/ history and I found it in this book. Could not wait to read it. WW2. This is a great time for Paris and the fashion industry. We meet Coco Chanel and Elsa Schiaparelli, two great fashion designer and great competitors. They are two great opposite I won this from Goodreads give away. We meet Lily Sutter who is an American teacher and also newly widow. She is also a artist but has lost her gift for painting since the death of her husband. Also has lost the gift for life. She receives a call from her brother wanting her to join him in Paris. Lily decides to take a leave from her teaching to join him there. Lily meets Coco Chanel and Elsa Schiaparelli while there and her life takes a turn. While there in Paris deciding will she stay or go home. Schiaparelli overs her a job. Lily takes the job, but finds herself caught between this two fashion designer in their compaction and the dangers of the Nazis taking over Paris and the looming war. I received an advance copy of this from BookBrowse in return for a fair review. This jewel of a story uses color to describe feelings and events during the time of fascination and fear in Paris prior to Hitler. But even more powerful is the story of two fashion icons of the time, Elsa Schiaparelli and Coco Chanel. Love, hate, fear, loyalty make this artfully written book a real page turner. ARC received through Goodreads Giveaways, from Berkley Books. Thank you to Goodreads and Berkley Books. This novel was fascinating to me, I had never heard of Elsa Schiaparelli before so I got to learn a lot about her, even though this was a fictionalized account of her life. Coco Chanel was always such an enigmatic figure, and this novel brought her spectacularly to life. We see these two women through the eyes, and life, of Lily. A woman who loves Schiaparelli designs, and ends up working for ARC received through Goodreads Giveaways, from Berkley Books. Thank you to Goodreads and Berkley Books. We see these two women through the eyes, and life, of Lily. A woman who loves Schiaparelli designs, and ends up working for her. Lily sees the feud between these two iconic designers from the inside, a very personal perspective. Lily was a very creative, intelligent character, and she fit into the world really well. Once World War II begins the lives of all three women take on a much more dangerous turn. I love when I read a book and it makes me stop and google what I’m reading about. This historical fiction novel about the rivalry between Chanel and Elsa Schiaparelli set against the backdrop of 1930’s Paris leading into World War II is one of those books. Jeanne Mackin uses character Lily Cooper as her vehicle to tell the story. Lily is a young recently widowed American whose brother Charlie invites her to Paris to visit him. Through Charlie’s starcrossed lover Ania, she gains entry into high cl I love when I read a book and it makes me stop and google what I’m reading about. This historical fiction novel about the rivalry between Chanel and Elsa Schiaparelli set against the backdrop of 1930’s Paris leading into World War II is one of those books. Jeanne Mackin uses character Lily Cooper as her vehicle to tell the story. Lily is a young recently widowed American whose brother Charlie invites her to Paris to visit him. Through Charlie’s starcrossed lover Ania, she gains entry into high class Parisian society- and into a acquaintanceship with Chanel and Schiaparelli. The descriptive detail of Elsa’s design genius came to life for me. I also kept finding myself thinking “I need to go back to Paris” as i read Mackin’s lush descriptions of Paris. Fashion isn’t something that normally interests me, but Mackin's thorough research helped me to understand how Elsa used fashion as art and as protest. I loved learning more about fascinating Coco Chanel as well. Set in the fashion capital of 1938 Paris, we follow the rivalry between 2 fashion icons, Coco Chanel and Elsa Schiaparelli, as they each strive to be recognized as the most influential designer. This book is filled with elegance, whimsy, and extravagance, juxtaposed with a world that is at war as the Nazis march closer to this glittering city. Additionally, this story is about Lily Cooper who is a young widow striving to find herself in this new city. Lily is an artist and finds herself within t Set in the fashion capital of 1938 Paris, we follow the rivalry between 2 fashion icons, Coco Chanel and Elsa Schiaparelli, as they each strive to be recognized as the most influential designer. This book is filled with elegance, whimsy, and extravagance, juxtaposed with a world that is at war as the Nazis march closer to this glittering city. Additionally, this story is about Lily Cooper who is a young widow striving to find herself in this new city. Lily is an artist and finds herself within the inner circle of these two feuding designers. The Last Collection is not so much about the couture fashion designs but more about loyalty, purpose, and rebirth. With World War II looming, this book just became more compelling. I just loved Mackin’s depiction of Paris in the late 1930’s. She made everything come to life in rich color. There is so much layer in this book. It is colorful, fascinating and is absolute perfection! At one point the author in discussing a painting mentions that a thin wash of gray can make the background recede more from the foreground. It was as though a thin wash of gray lay between the story and the reader. It felt as though everything was being told through the heavy grief of this guilt ridden widow. Yet, though unable to paint because of it, she sees vibrant color everywhere and mentions it endlessly, as though to show the reader just how many colors she can recite. For all the vibrancy and emotions this should have evoked it all remained bland--the words said there was excitement or foreboding or passion or anger and yet those things were not evoked in the reader. The most arousing moment was the one in which Coco sets the tree afire. It was hard to get through this book. The Women of Paris is much better if you want an idea of Paris before and during German Occupation. I was fascinated by the personalities of Coco Chanel and Elsa Schiaparelli and the intricacies of Haute Couture and politics in Paris just before and during WWII. But I was also intrigued by the daily life of various classes of people (upper class, middle class, merchants, professionals, wage workers, spies, artists, military, etc.) during that same period. Even the Ritz Hotel and the various cafes became a part of the story. I was so curious about the gowns being designed, constructed and worn that I looked them up on Google. Yes, they are all there! I hope the finished book has photographs of Lily’s first Schiaparelli dress and the “tree” costume. At first I thought this would be just another mildly interesting romance with clothes. I was delightedly mistaken. THE LAST COLLECTION is well worth your reading time and would be a good choice for book groups. Fashion and art are always fascinating topics but the rivalry between Paris designers, Schiaparelli and Chanel, makes for an exhilarating read! Mackin makes the fashion world come alive as she weaves a riveting tale of competition between these two powerful women during the backdrop of the 1930’s and WWII through the eyes of Lily Sutter, an American widow who is also an aspiring artist. Artfully researched, the characters come alive and although Elsa and Coco are primary, the other characters; Charlie, Ania, Gogo and others kept me turning the pages and I couldn’t wait to see what was going to happen next. I love historical fiction because I learn new things and this lovely novel motivates me to read further into the lives of Coco and Schiap. This is great storytelling. Love this book! I received an advanced readers copy through Goodreads giveaways and am giving the novel my honest review. I thoroughly enjoyed the novel and found it quite a page-turner. The comparison between Chanel and Schiaparelli is interesting and well-drawn, as is the lead-up to WWII in Paris. Simply reading about Paris, the parties, cocktails at the Ritz, art, and couture was delightful and knowing about the dreadful war looking on the horizon made it all the more compelling. Lily's part of the story was I received an advanced readers copy through Goodreads giveaways and am giving the novel my honest review.